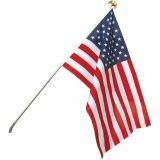 Our US flag sets are the perfect fund raising items to support your cause and appeal to the largest number of buyers in your community. 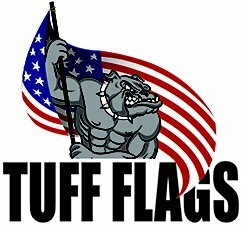 Our US flag sets can be used by households and business, and make very popular fund raising items for schools, sports teams, churches, and clubs. 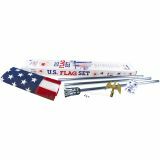 Flag sets are easy for fundraisers to sell and generate great revenue for your cause. Shop right away and get the best prices, quick shipping, and much more! 100% customer satisfaction guaranteed! 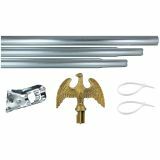 Flag Set Fundraising is a great way to raise funds, get support for your organization in your local community, and appeal to buyers with a great product. Browse our special collection of Fundraising US FlagSets - selected just for fundraising - and choose the one that best suits your needs. These are perfect for scouts, schools, churches and other non-profit groups. Our US flag sets make a popular and cost effective fundraiser for members of your community to show their patriotism and support your organization at the same time! People often prefer to buy flags rather than other items like candies or hats to help local organizations. 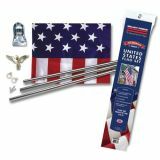 Browse our collection of fund raising US flag sets and choose a model that matches your needs. 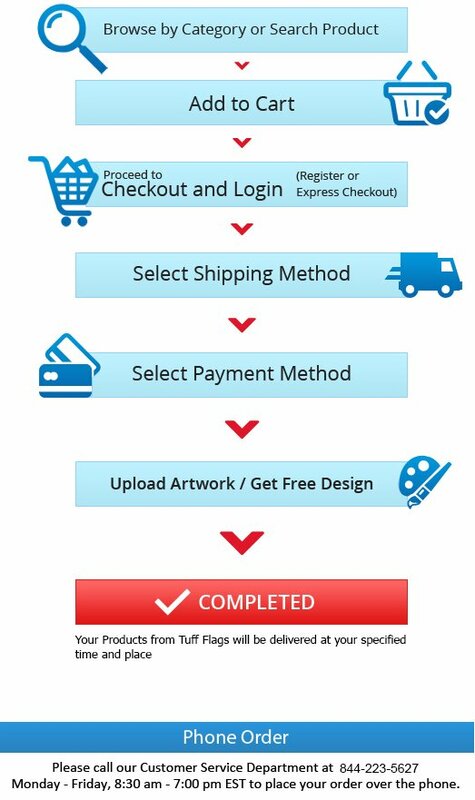 If you would like other tips or ideas, call us at our toll free number (888) 287-3524 or email us at customercare@tuffflags.com .